Frequent droughts are changing the assortment of trees in Amazon basin ecosystems, with water-loving varieties slowly being replaced by more drought-resistant species. The forests are not adapting fast enough, however, and they&apos;re failing to keep pace with the rate with which the basin&apos;s climate is changing, according to a new study published in the journal Global Change Biology. Using data collected by a long-term international collaboration known as RAINFOR, Adriane Esquivel Muelbert, a tropical forest ecologist at the University of Leeds in Britain, and her team found that, in the most drought-prone Amazon regions, water-loving plants are being replaced by those adapted to extreme dry weather. RAINFOR is a network of international and local researchers from more than 30 countries who&apos;ve maintained continuous monitoring of all trees in more than 300 2.5-acre plots across the Amazon basin. 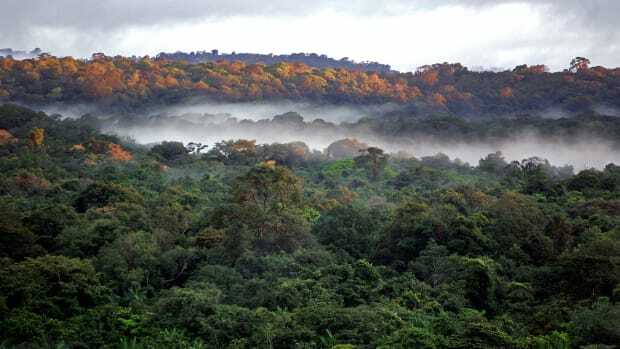 Using data from 106 of the longest-monitored plots, researchers found that mortality has increased over the 30-year period among moisture loving tree genera such as Mezilaurus and Inga. In Amazonian regions that have experienced the most intense droughts, new samplings of drought-tolerant genera such as Brosimum and Pseudolmedia have increased in abundance. In short, "the Amazon&apos;s composition of species is becoming more drought-tolerant," Esquivel says. The scientists also reported an increase in the prevalence of large-statured tree genera such as Mora and Eschweilera, whose larger crowns and more extensive root systems offer a competitive advantage which may help them via the photosynthesis-boosting effects of elevated CO2 levels in the atmosphere. Importantly, the team reports that the rate of change in tree composition lags by two orders of magnitude behind the change in climate, suggesting that the Amazon basin may struggle to keep up with predicted ongoing and escalating climatic upheaval. Esquivel offers some good news: "At the same time, this means that the [plant] community has not changed drastically yet, and this does give us some hope to act [to reduce emissions and slow global warming] before the Amazon and its species change more dramatically." However, the lag between forest adaptation and climate change already observed suggests that future droughts may cause widespread tree death, and vital ecosystem functions could dwindle or disappear. "This lag is a warning sign that key [Amazon basin] functions like carbon sequestration will eventually become threatened by droughts," says Oliver Phillips, an ecologist at the University of Leeds and study co-author. The decline of ecosystem services is more than just hypothetical—large-scale tree loss is already causing declines in the capacity of the Amazon to act as a carbon sink, and during extreme droughts the forest has temporarily become a net-emitter of carbon. This is troubling news for a world that currently depends on the Amazon carbon sink as a curb on global warming. It remains unclear how the species composition of forests ultimately determines the quantity and quality of the ecosystem services they provide, and the results of the present study don&apos;t offer a clear answer. "On one hand, the increases in large [tree] species may indicate an increase in the [Amazon&apos;s] carbon sink capacity," Esquivel says. "On the other hand, we also have an increase in some pioneer species which store less carbon and have faster life cycles." "In principle, forests may be able to change compositionally without losing their key functions," Phillips says. Most forests are highly diverse, meaning that other trees could replace the ecological functions of those in decline. The mechanism by which drought triggers tree death is fairly well understood. Drought can cause trees to suffer embolism, where the continuous stream of water that runs from roots to leaves is broken by air bubbles, preventing the tree from transpiring, often killing it as a result. However, the emerging pattern of climate change in the Amazon is complex, not only including an increase in drought, but other extremes too. While severe droughts, such as those experienced in 2005 and 2010, are on the upswing, the frequency and severity of flooding has also increased over the last century. "While droughts are increasing and the dry season is becoming stronger, we also have an intensification of the wet season in some areas," Esquivel explains. And though some Amazonian trees are specially adapted to cope with flooding, many are not. "More flooding is likely to create longer periods of anaerobosis—when waterlogged soils have little oxygen—which can slow growth and potentially kill plants," Phillips says. Complicating matters, precipitation isn&apos;t increasing or decreasing evenly over the Amazon: floods are worse in some locales, while drought is worse in others. And in some regions, both extremes are occurring, with repeated sequences of drought, followed by floods, a drastic pendulum swing that compounds stressors. "In the long-term, [Amazon] plant and animal species will need to move—and they can only do that effectively if there is enough connectivity in the landscape," Phillips says. This means the practice of conservation policies that maintain corridors of continuous forest, enabling plants and mutualistic species such as pollinators and seed dispersers to spread to more favorable climates. "The combination of changing climate with high levels of fragmentation, fire, and loss of animals, especially in the southern Amazon region ... is deeply concerning," Phillips says. In some areas, such as Brazil&apos;s Mato Grosso state, cattle pastures, vast stretches of soy and other crops, and roads and other infrastructure shatter landscape connectivity. 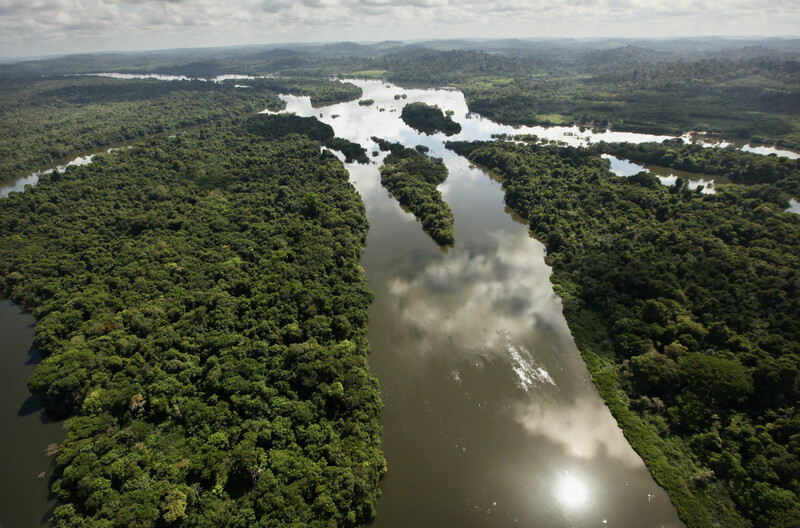 Both authors praised the huge team of international researchers that made such wide-scale long-term monitoring of the Amazon possible; the paper lists 103 authors from 82 institutions in 17 countries. "If we can work together to understand the forest, I believe people can act together to protect it," Esquivel says. However, "we need to act now—controlling CO2 emissions, reducing deforestation, and making sure the corridors of forest allow for possible species migrations," she says. 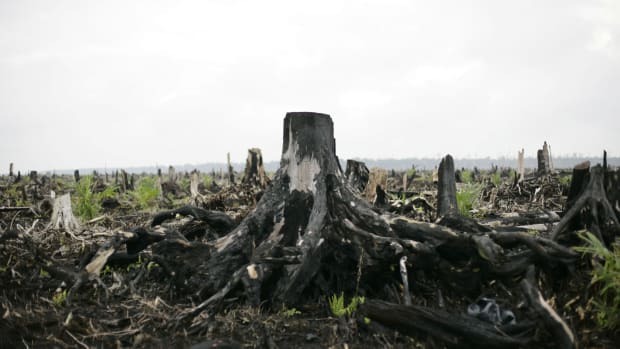 Of primary concern, adds Philips, is the prevention of deforestation as well as other direct impacts by humans. "Our greatest chance for a climate-resilient Amazon forest is to keep the trees standing in the first place," he says. Unfortunately for the Amazon, with the October election of Jair Bolsonaro, who takes office in January, the political odds could be stacked against those who wish to protect the world&apos;s largest rainforest. 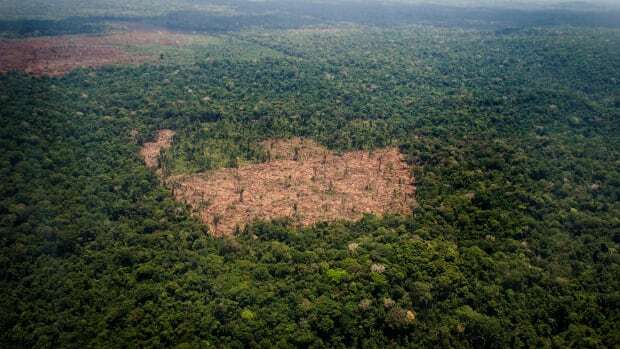 This month, the Brazilian national space research institute INPE announced that deforestation in the Brazilian Amazon has reached its highest levels in 10 years and most analysts fear that deforestation levels could climb sharply in the years ahead.